At Banner Stand Pros, our customer service goal is simple: We are committed to providing our customers total satisfaction. Every time. 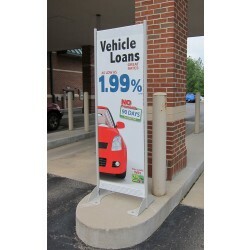 If you have any issues with any retractable banner stands, retail banner stands, outdoor banner stands, or banner stand accessories you have purchased from us, whether or not they are under warranty, feel free to contact us and we will help resolve the situation. 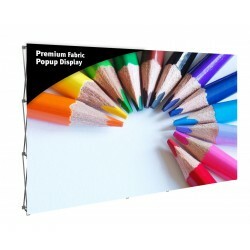 We want you to be happy with your shopping experience, and with the banner stands you purchase from us so that you will come back again, and recommend us to your friends. Depending on the circumstances, the costs associated with correcting any problems may be paid by us, or may be charged to you. Since all printing work is custom, there are no refunds given on printing work. If we make a mistake on an order, we will correct the error at no cost to you. If there are printing problems that are a result of technical or equipment issues, we will reprint and ship the replacement at no charge. If you do not request a proof, your file will be printed as is and you accept responsibilty for the results. If a proof is requested, you must review and approve the proof before printing, and once approved, we will print your order as approved. If there are any problems that are discovered after the approved proof is printed, the print can be correted and reprinted at your expense. All our printing is tightly calibrated for accuracy, but if your computer monitor and/or printer are not calibrated, it's very possible that your files will not look like you expected since you've been viewing them on uncalibrated equipment. If the color is critical on your job, we recommend a reduced size physical printed proof, since that will show you exactly how your final print will look. If you don't request a proof and you aren't happy with the color, the print can be corrected and reprinted at your expense. If a problem with our equipment caused the color to be off, whether or not a proof was requested, we will replace the print at no charge. If a print is damaged in shipment, we will file a claim with the carrier and replace the damaged items. In the case of a damaged shipment, it is your responsibility to notify us within 72 hours and to keep the damaged items along with the packing materials. Any missing items must be reported to BannerStandPros within 24 hours of receiving your shipment so that we have time to resolve the problem without causing additional delays to your order. We will ship any missing items as quickly as possible by the same shipping method that was selected for the original order. Order cancellations must be confirmed and approved by BannerStandPros. The cancellation of a production order for which BannerStandPros has produced or ordered materials may result in fully charging for materials and labor, or imposing a minimum cancellation fee of up to 50% of the purchase/sale price. Under the warranty policies, problems believed to be the result of a manufacturing defect will be repaired and/or replaced upon inspection of the product. 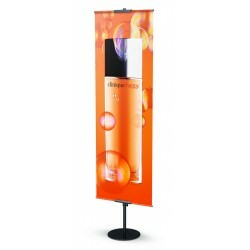 The customer is responsible for shipping the product to BannerStandPros, or to the manufacturer in some cases, for inspection. 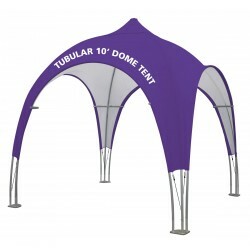 At the discretion of BannerStandPros or the manufacturer, if the issue is deemed a manufacturing defect, the product will be repaired and/or replaced and returned to the customer at no cost via standard ground shipping. Free replacement products cannot be sent until an assessment of the supposed defective product is made. 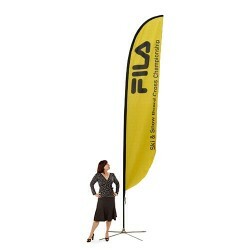 At the discretion of BannerStandPros or the manufacturer, if the received product is deemed not to be a manufacturing defect, the customer will be notified and the product may be repaired and/or replaced at the customers expense. Shipping charges will be the customers responsibility for any items that are deemed not to be a manufacturing defect as well as any items needing expedited shipping. 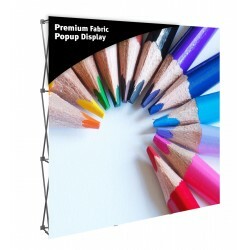 At BannerStandPros, we want you to be happy with your display purchase, so we work very hard to make sure we only offer quality products that will perform as advertised. 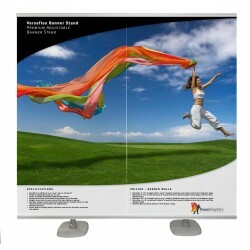 The following terms and conditions apply to purchases made at BannerStandPros.com. Upon the acceptance of delivery, you agree that the package(s) have arrived without any visible shipping damage. If shipping damage is noted, sign for the delivery as damaged and contact us immediately. Failure to sign for the package(s) as damaged, refusal of the package, or neglecting to note after 3 business days any damage that may have occurred during the shipping process will be treated as a warranty claim and are subject to the terms and conditions of the product warranty. Any damage that occurred during shipping that was paid for as part of your order will be guaranteed and covered should the shipper lose or damage a product. 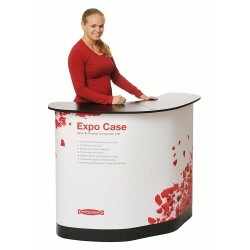 BannerStandPros will process the claim information and replace the affected product. For orders shipped using a customer's shipper number or a third party shipper number, the customer will be responsible for replacing the affected product at cost and following through with the claim through the shipping/freight company. BannerStandPros will begin the claim process and provide the customer with the claim information. Any further claim correspondence will be between the customer and the shipping/freight company. BannerStandPros reserves the right to request documentation in the forms of photos, copies of packing slips and the like to ensure the issue is resolved promptly. “Standard questions” may also be asked in order to provide accurate and timely customer service. Failure to provide the necessary information requested may delay the claim process. An RMA/Case number may be issued depending on the warranty/claim. This number must be used in regards to all correspondence with the issue and adhered to any packaging sent to BannerStandPros for assessment. Failure to adhere RMA/Case information to a package will delay the claim/warranty process. Should you need to return a product due to order cancellation or any reason other than a warranty matter, BannerStandPros reserves the right to carry out a full inspection of the product before accepting the return. All returns of this nature must be arranged within 72 hours after receipt of the product and are subject to a restocking fee/charge. A 25% restocking fee is standard, but some manufacturers charge more, while others may waive the restocking fee entirely in some situations, so be sure to check with us in advance to find out the cost of the return. Shipping charges are not refundable. 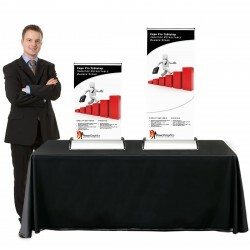 BannerStandPros will not accept the return of a used or custom made product or graphic. Any product should be returned in the manner in which it was received. Order cancellations must be confirmed and approved by BannerStandPros. The cancellation of a production order for which BannerStandPros has produced or ordered materials may result in fully charging for materials and labor, or imposing a minimum cancellation fee of up to 50% of the purchase/sale price. BannerStandPros reserves the right to change prices or product designs as well as discontinue a product at any time without further notice. If a product is noted as defective that is a discontinued product; an exchange to an equivalent product will be offered or an upgrade to a premium product (at the discretion of BannerStandPros) will be available with the customer responsible for the difference in cost. The customer agrees to pay any collections and court costs required for the enforcement of these terms and conditions. 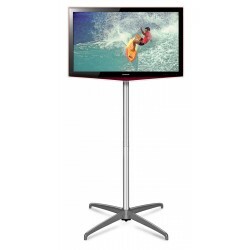 Most banner stands do not come standard with hard shipping cases, although we do sell such cases in the Accessories & Parts section. 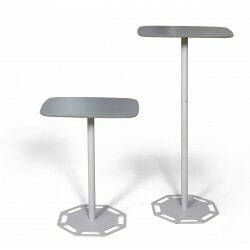 The soft cases or bags that the stands typically come in are not sufficient to protect the stand during shipping or when checking them as luggage on most airlines. 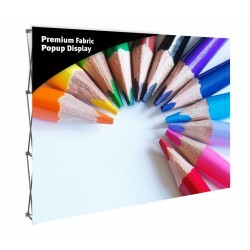 It's important to use a box like the one that your banner stand comes in if you plan to ship the stand or check it as luggage, or purchase a hard case for the ultimate protection. Keep in mind that shipping boxes will break down after a few shipments and will not provide the same protection as when they were new, so they should be frequently replaced to provide adequate protection. 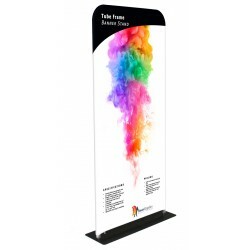 Even our inexpensive printing materials and display hardware are high quality. 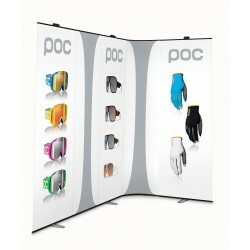 Any product you choose from BannerStandPros, in any price range, will be the best quality product in that price range. While we work very hard to make sure our pricing is among the best, we feel very strongly that price should not be your only consideration. If someone else is offering what seems to be the same product for a lower cost, it will almost certainly not be the same product. There are many ways to cut costs. Using inferior materials, printing at high speed and/or low resolution, and not having an experienced and knowledgeable staff would all allow us to charge less, but it would not be fair to our customers and we wouldn't be happy providing that level of quality and service. 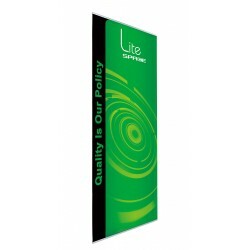 Rather than take advantage of the fact that many customers will accept poor quality displays and printing, we consider it our responsibility to make sure we don't even offer any bad quality options so that any choice our customers make will be a good one. We accept Visa, MasterCard, American Express and Discover cards, as well as payments by check in advance. We offer montly promotions, so be sure to sign up for our newsletter, follow us on Facebook, or read our blog for the latest promos. We also offer reseller pricing. Contact us for more information.